The official website of the Working!!! TV anime features a new anime visual for season 3 revealing new characters as well as a Summer 2015 premiere. 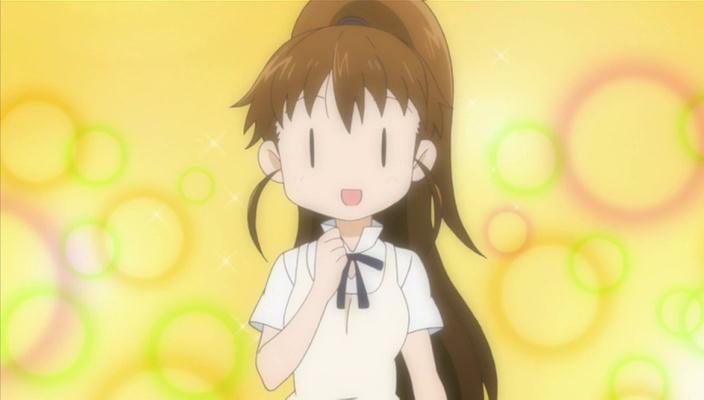 The two new characters appear to be Takanashi Shizuka and Minegishi Tohru, but this is unconfirmed. The official website of the TV anime series Working!!! 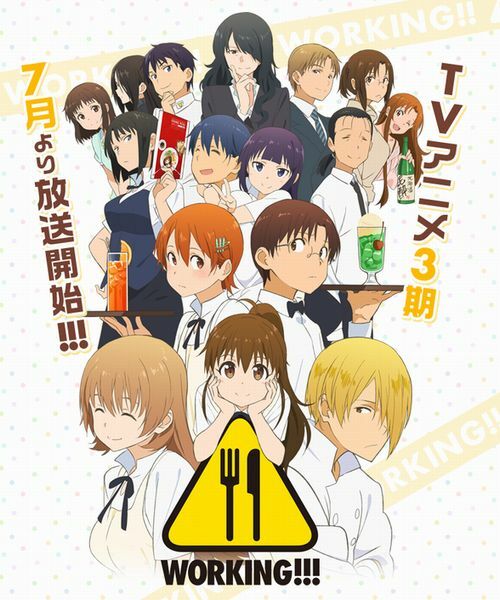 has a new anime visual and list of staff and cast members for the upcoming third season. It is set to begin in July. Kamakura Yumi will replace Ootsuki Atsushi as director, but Yoshioka Takao will be returning to compose the series, and Adachi Shingo will be returning to direct the art and character designs. MONACA will be in charge of music production and A-1 Pictures will be the lead production studio. The original cast members will reprise their roles. This year’s 22nd issue of Square Enix’s Young Gangan magazine has announced that Takatsu Karino’s Working!! manga will get a special spin-off series. 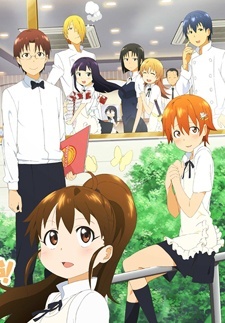 The spin-off series will run in the second issue of next year’s Young Gangan which will be released on January 5, 2015. During the Working!! x Servant x Servant event which was held on August 10, 2014, it was announced that Working!! will be getting a third Season!!!! !